Currently viewing the tag: "honey blonde hair"
Such a fun day having @nathanaelcanton and @niconightthieve film us doing what we love! Hope you enjoy this video as much as we enjoyed filming it! This haircut that takes a bit of commitment, but when you’re ready for a new chapter in your hair, this look will give you a makeover. What’s better than punk-chic? 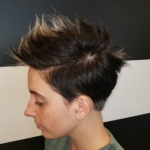 The faux hawk seems to be coming back in style, and alot of women are totally rocking it! 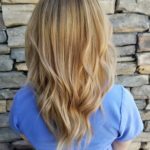 Honey blonde hair color is warm and shiny and looks best on medium skin tones with darker eye colors such as brown or black.